It’s hard to sum up the budget session in a single word, or even a few words, but let it be known: the grassroots threw down. Even with “old Albany” rearing its ugly head (shady lobbyists, backroom politics, etc. ), we continued to make our voices heard and demand the big changes our communities have been waiting for. 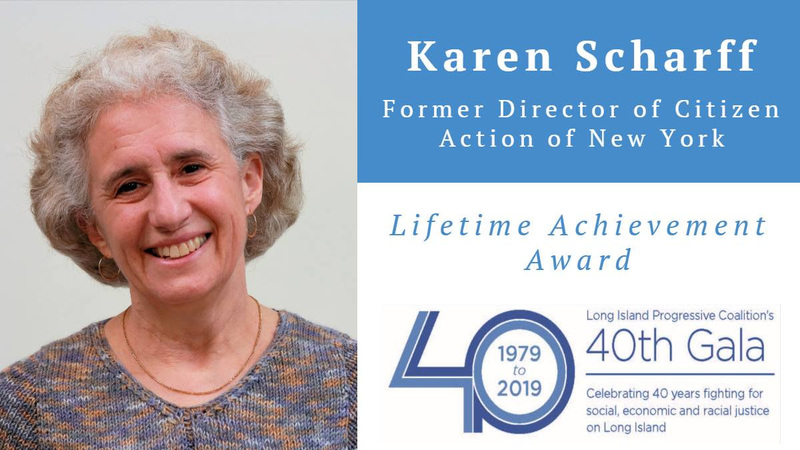 As a result of the work of Citizen Action and its partners, we passed the most significant criminal justice reforms our state has seen in nearly half a century. And we forced our legislators to create a commission to implement small donor public financing. There’s still a lot more work to do this session (next up: housing). But it’s important to recognize the huge role that grassroots activism has been playing so far this session. 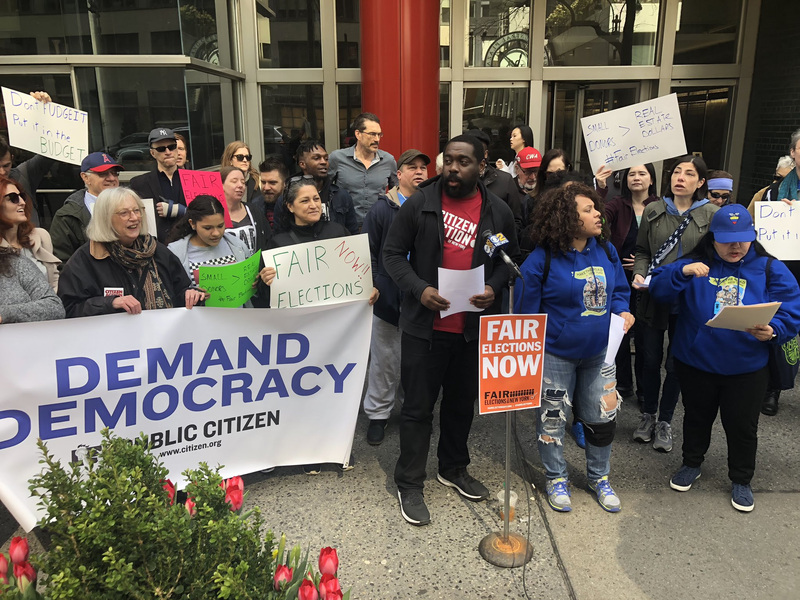 The Fair Elections coalition held an emergency rally in front of the Governor’s Manhattan office to demand that public financing be included in the budget. 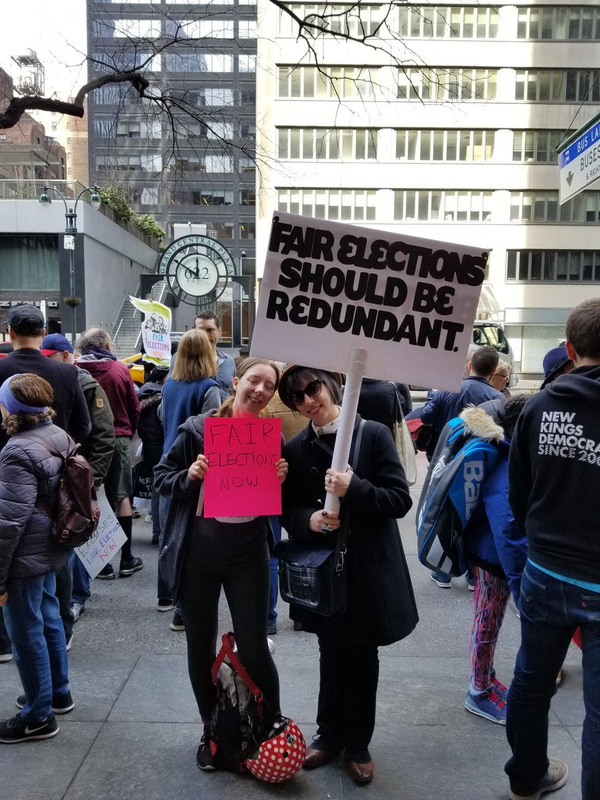 With many of our Democratic legislators working to keep it out (fearing a threat to their reelection bids), it was grassroots pressure that forced their hand and led them to create a commission to oversee its implementation. 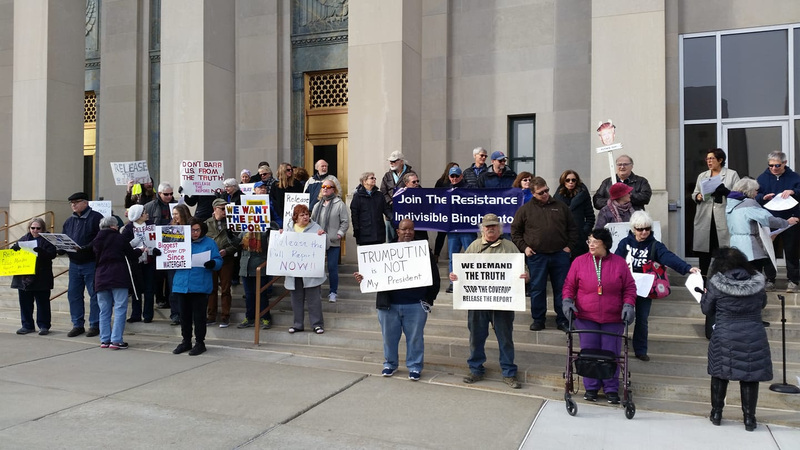 Our Binghamton and Capital District chapters participated in #ReleaseTheReport rallies calling for Robert Mueller’s report be made public. Without transparency, there can be no justice. 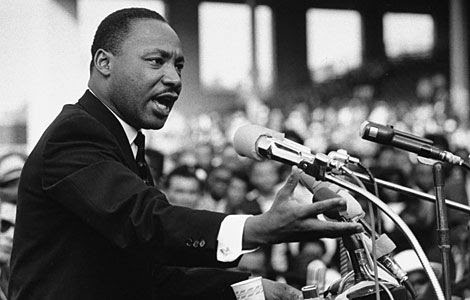 On April 4th, 1968, civil rights leader Martin Luther King Jr. was assassinated at the Lorraine Motel in Memphis, Tennessee. King had traveled to Tennessee to support striking sanitation workers, who were being paid significantly lower wages than their white counterparts. The day before he gave his famous “I’ve Been to the Mountaintop” speech.